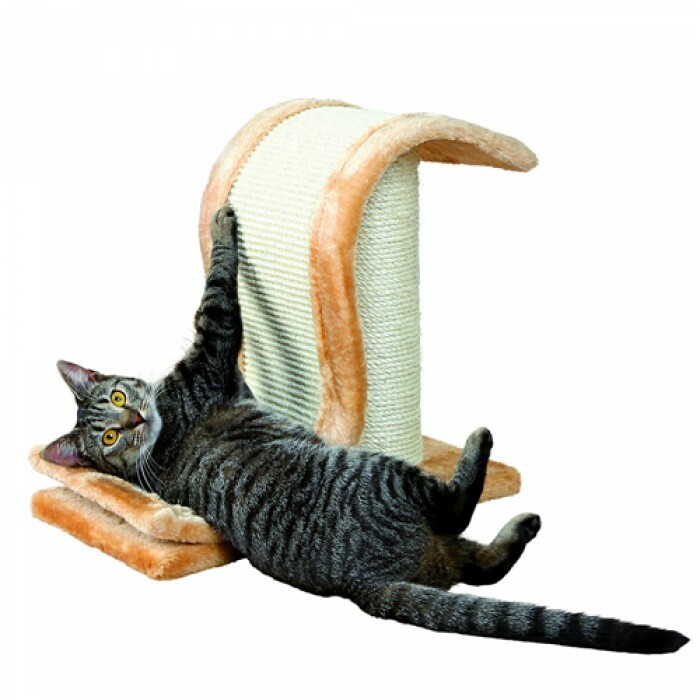 Product Information-Trixie scratching wave protects your upholstery and carpets from your cats natural scratching habit. It has a good value and high quality design. Sharpening their claws is very important for cats. It has a large scratching area made of durable sisal, prevents your cat from scratching wallpaper and furniture.Sisal is a natural strong fibre, which helps your cat to remove the scaly top layer of their claw. So it prevents your cat from developing ingrown nails. So that your cat can live out the natural scratching instinct. The scratching wave is suitable for cats of all ages. Available in brown colour. Measures 44 cm length by 25 cm width floor area and 9 cm diameter post.